Scroll down for the new listings of homes for sale in Bulverde, TX. 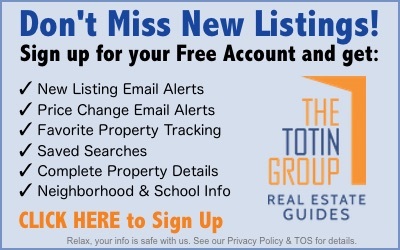 Use the Advanced Search feature to search all listings in the 78163 zip code. "Front Porch to the Texas Hill Country"
Bulverde is an affluent, family-friendly bedroom community located 23 miles north of San Antonio TX along Cibolo Creek in Comal County. The small town of about 5,000 attracts high-income home buyers who enjoy living halfway between the rural natural wonders of the Texas Hill Country and the cultural and economic opportunities in San Antonio. The mix of homes for sale in Bulverde includes some pre-war structures, but there have been several major luxury housing booms since the city was incorporated in 1999 from the combination of five municipalities. The average value of homes in Bulverde, Texas was over $327,426 in 2015, and the median annual income value was $103,982. Luxury homes for sale in Bulverde attract a highly educated population—nearly 100% of city residents are high school graduates, and almost one third have a graduate or professional degree. The area is rich with history, having first been home to several indigenous peoples including the Karankawa, Lipan, Tonkawa, and Waco tribes. Native American artifacts, including a style of arrowhead known as the Bulverde Point, can still be discovered in the area. There are also abundant natural attractions including Cibolo Creek, Guadalupe River State Park and Honey Creek State Natural Area. Contact the Exclusive Buyer Agents at The Totin Group, eXp Realty, at (210) 872-8888 to help guide you through the home-buying process. Get the benefits of working with your own Realtor—but usually at no out-of-pocket cost to you, because the seller pays our fee. The 10 newest listings of homes for sale in Bulverde are shown below. Use the Advanced Search feature to search all listings in this desirable community outside of San Antonio, Texas.